Those precious words communicated perfectly my experience in the West African country of Ghana. As an American I am accustomed to traveling to places where it’s clear that I’m not exactly welcome. But not in Ghana. With smiles on their faces and invitations in their hearts, it was a wonderful feeling and an unforgettable time. I was welcome. I come from a culture where these words mean very little. “You’re welcome” is the obligatory response to the words “thank you.” Good form. Good manners. It has less to do with the heart, and more to do with maintaining an image of politeness. But in Ghana, the words didn’t feel like a vain repetition; it was real. I really was welcome. The Scriptures call this hospitality. We live in an increasingly fragmented world. Mother Teresa described loneliness as the leprosy of the masses, and she’s right. People are wandering, alone, and more isolated than ever. It’s a perfect time to rediscover the ancient Christian practice of hospitality. Hands on, reaching out, arms wide, homes open – especially on the lookout for the vulnerable, the weak, the foreigner, the stranger. My culture has not taught me such a practice. Technically hospitality is defined by a kind and generous reception toward guests, but I love how it comes out in Greek: “love of strangers.” Love. The early disciples embraced this full-throttle. It meant to welcome people into your life, your schedule, and space, offering food, shelter, provisions, and protection. For a follower of Jesus hospitality went well beyond the superficial; it was holistic. We care for people and share with people in spirit, soul, and body. We give ourselves for the sake of those who could never pay us back. Ironically, hospitality morphed over the centuries. It went from being a ministry of mercy to becoming the sometimes twisted practice of entertaining the powerful who had the means to make it worth your while. The hospitality industry would become the collection of the well-connected and the wealthy, because this is who could pay the bill. You are welcome. The needy and the stranger, of course, were then further marginalized. It’s part of the curse of the impoverished. On the outside they seem to have so little to offer. 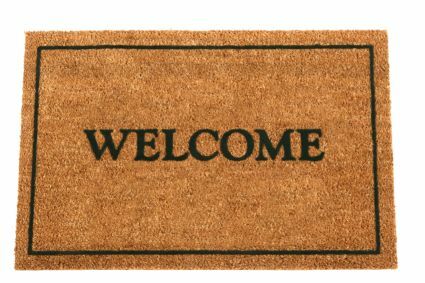 You are not welcome. This was his fifth trip to the United States, and he explained that he has never been invited to a donut shop or a meal or a home, outside of his professional obligations. He wasn’t quite sure what to do with us. But two days later I received a call from my friend, “Can I still come to your house?” I couldn’t believe what I was hearing. Who would have known that my Japanese friend loved children? (And we have plenty of them to go around.) Who would have guessed how much my children would enjoy playing with my Japanese friend? Who would have imagined how enjoyable it would be to share meals, watch a movie, speak prayers, play games, and talk family with a new friend. The key word here is with. It’s a delicious word. It’s a potent word. Some things have no cure but being with. Some problems have no answer but presence. Churches lose their way when they drift into the streams of institutionalization where they confuse doing things for people and doing things with people. What would happen if we reclaimed this ancient habit of loving strangers again? It’s amazing to watch how hospitality turns the ordinary into the sacred. Why? Because it’s a sign. A reenactment of something deeper. Who is the stranger? Anyone who finds themself disconnected. Out of place. Disoriented in time and space. You’ll find them on playgrounds. Or walking between classes. At the English language institute. Sitting in cubicles. Passing the time at a library. Maybe even looking out the window in the apartment next door. I’m thinking about what we’re doing in our little community this week. We call it a Bring Weekend, because it’s all about presence, with-ness. I wonder how many people would jump at the chance to spend the morning or afternoon with a person that invited them into their world and into their life and into their faith family. Come to church. Join me for a meal. No, I’m serious. You are welcome. I’m thinking about how Jesus taught us to throw parties for the people nobody else invites. To invite the people who could never pay us back. To notice the people nobody else acknowledges. Recognizing that the response is in their hands, but the invitation is in ours. Perhaps most people will turn down the invitation, but that’s not the point. Disciples are people who open their hearts. And their homes. And their vehicles. You are welcome. They shares meals. They make time. The create connection space. You are welcome. They look around a room and notice. They find the disconnected and connect. They show up for church early and they leave church late. Because they wash people’s feet with their presence. They are fully there. They speak like citizens of Ghana. Can you imagine what would happen if we reintroduced our culture to this other-worldy practice of heart-birthed hospitality? I wonder who God has placed in your life? I wonder what “strangers” are living in your neighborhood. 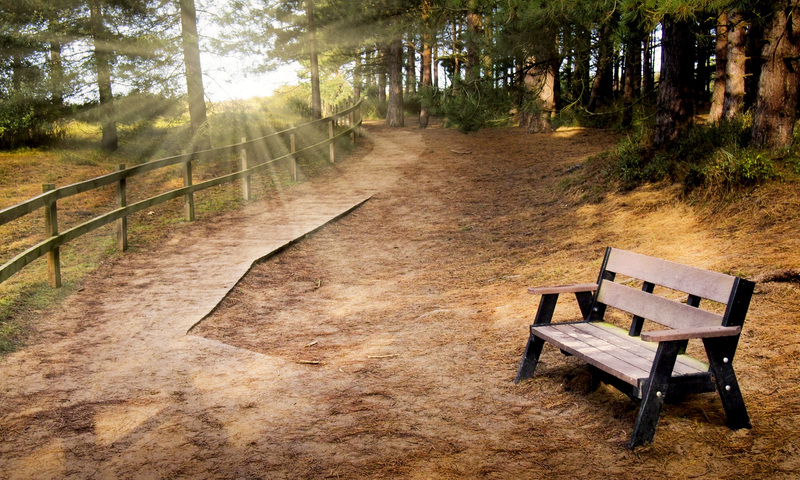 I wonder what kind of divine appointments Father has arranged to walk into your path this week. If you’ll have eyes to see. And a mouth to speak. We’re all strangers. Ever since the Garden we’ve been wandering, longing for the place where we finally belong. We know something’s off. We know we don’t quite fit. The Scriptures explain the problem: it’s our sin. Sin always separates. Sin always isolates. Then comes Jesus, the ultimate lover of the ultimate strangers. He reaches the unreached and touches the untouched, and ultimately sacrifices the unthinkable to open a way for the undeserving to have a place. With him. Emmanuel. God with us. Do you hear his voice? Want to read more? Click here for more thoughts from Mike Patz on hospitality. Or click here for thoughts on hospitality and evangelism from Desiring God.